CARACAS, March 27 (Xinhua) -- Venezuela on Wednesday criticized the "hypocrisy" of Latin American countries that object to its military cooperation with Russia, but welcome U.S. military bases on their soil. 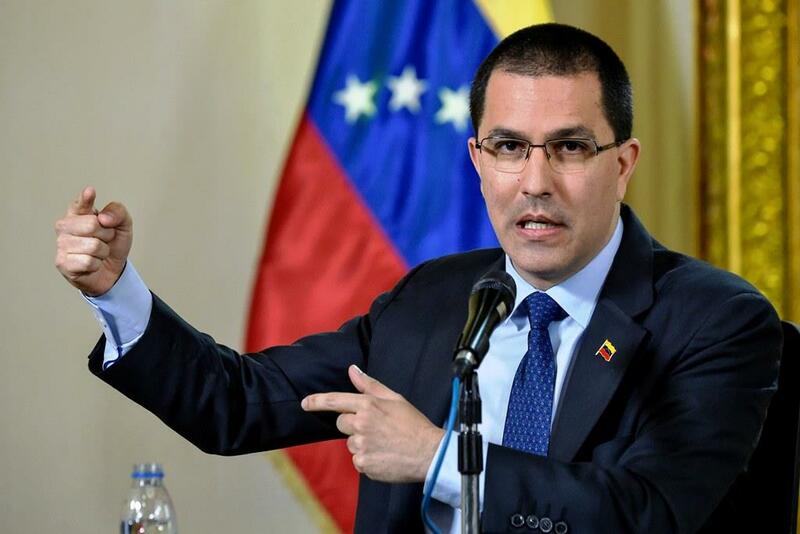 "The hypocrisy of regional governments that maintain U.S. military bases and personnel on their soil is surprising," Venezuelan Foreign Affairs Minister Jorge Arreaza said via Twitter. The United States is the "only country in the world to have used nuclear weapons against civilians, to wage war over oil without the authorization of the UN, to threaten countries with the use of force and to have an annual military budget of more than 700 billion U.S. dollars," said Arreaza. Several regional countries and the United States expressed alarm after two Russian military planes landed in Venezuela on Saturday, carrying officials and nearly 100 soldiers. Washington is backing a push by Venezuela's right-wing opposition to oust the ruling socialist party from power, and Russia's support for the government of President Nicolas Maduro is likely to hamper their efforts. On Monday, U.S. Secretary of State Mike Pompeo spoke by phone with his Russian counterpart Sergei Lavrov, when he said the presence of Russian military troops in Venezuela risked "prolonging the suffering of Venezuelans," according to a release from the State Department.